ECEFast have announced the release of a new IEC Cat 111 1000V AC/DC clamp meter with additional functions. The CM-9930 reads accurate RMS - AC volts and AC amps along with frequency, capacitance, resistance, and DC voltage and current. 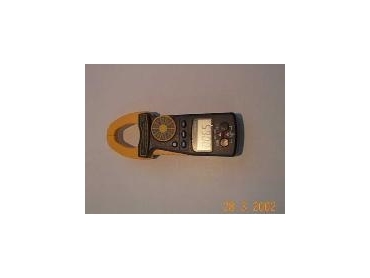 The CM-9930 clamp meter is autoranging with four ranges for DC and two ranges for AC inputs and has full overload protection on all ranges. The case features tough ABS with a water resistant panel and a jaw opening feature for 60mm diameter cables.